It was roughly five years ago that the original Slingbox debuted – eons ago in techy time. In the half-decade that’s followed, the company has been relatively dormant. 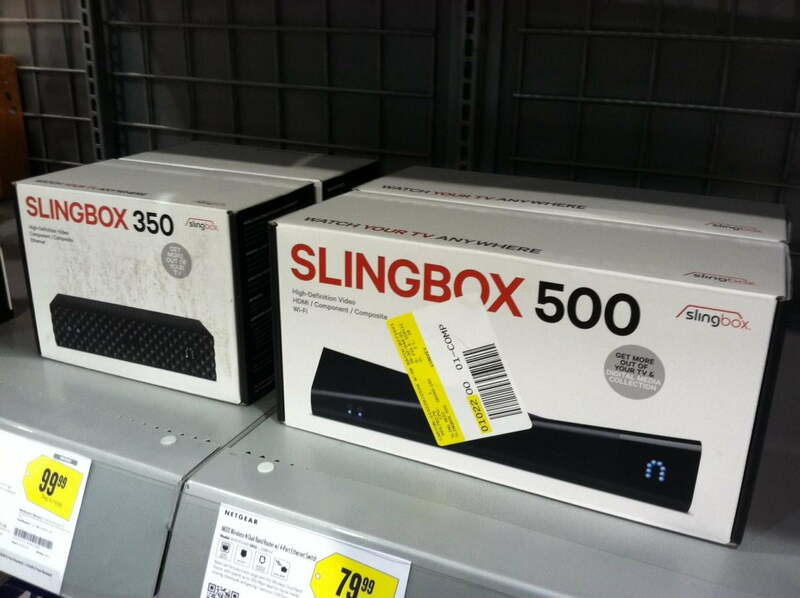 That changed today with news that Slingbox has has two new products on their way: the Slingbox 350 & 500. The peculiar thing about the new offerings is that both products were unannounced, with zatznotfunny.com breaking the story, after Dave Zatz — a former Sling staffer himself — spotted the display-only Slingboxes while in search of another product. For those not familar, the Slingbox is a device that takes video sourced from a cable or satellite box, DVR, DVD player, VCR — pretty much any video source, really — and streams it live on the Internet. This allows users to watch and control their TV using laptops and mobile devices from anywhere broadband internet is available, be that the kitchen or halfway around the world. Both the 350 & the 500 are expected to stream in 1080p HD, though the two models are far from identical in outward appearance and presumably differ in internal specs as well. The 500 model includes a remote control and HDMI input/output, and is first and only Slingbox to feature integrated WiFi capabilities. Other than that, information is scant; pricing details are non existent, and official release details are hazy at best. Rumor has it the boxes will be available for purchase sometime in mid-October, but for now, Slingbox fans will have to content themselves with the waiting game. Stay tuned to Digital Trends for further updates.